Ok, Yummy, here are my favorite Asian Hotties..both Chinese and Japanese. 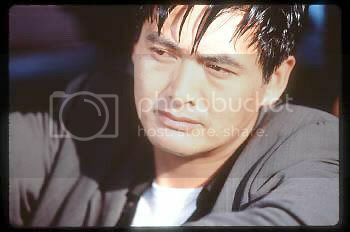 I'm passing the drool bibs around so that there's no puddles left on the floor..
First up, the leading Man of Hong Kong film and a 1st generation Hottie, Chow Yun-Fat. Class act all the way. Had huge success crossing over to Engllish speaking films, speaks 7 languages. Every HK starlet dreams of acting alongside him. Legendary Kung-fu star of the 70's and early 80's, he tragically died in a car accident on the cusp of superstardom. Alexander Fu-Sheng. Next up, the rock-hard Andy Lau, one of the biggest HK film stars in history, another huge Pop singing star and performer as well. It's not uncommon for a movie star to cross over to singing and vice versa, in fact, it's more the standard activity than not. 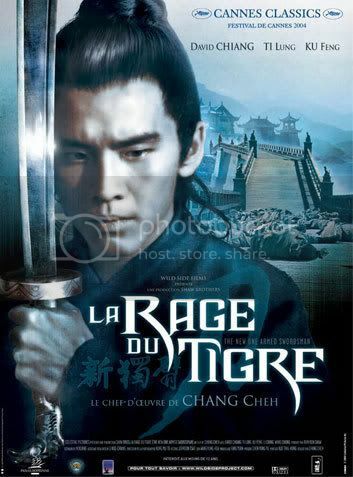 Andy Lau. 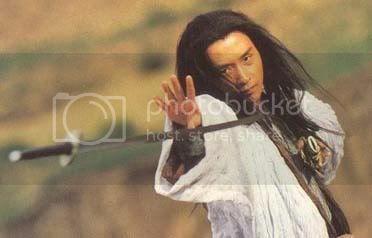 Another huge Pop star-turned actor, the smoldering Ekin Cheng. He's partnered up with the biggest pop stars in the world for projects but still has time to act in masterpieces like Storm Riders. 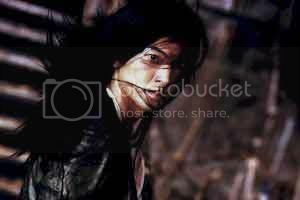 along with Aaron Kwok and Sonny Chiba. The other half of the Storm Riders team, Aaron Kwok, another pop star-turned actor, and he's got about a million fan clubs across the world. Unbelievable good looks for a straight guy. He may not be the best fighter in HK - but he sure was one of the best looking guys over there in his youth. Yeah, more Wei Pai. With make-up. I love guys with make-up. The more make-up, the better. Zachary Quinto in New York yesterday. Lucky ppl that got to me him. 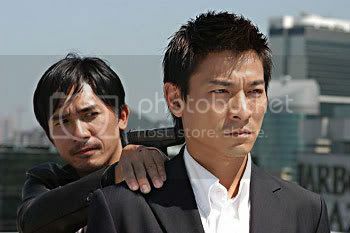 I love those pics of Wei Pei, Cesare, one of my fave Old-school HK actors. Sometimes I wonder where he'd be now if he didn't leave Shaw Bros.
Have you heard of the Kung-fu Superstars group on Yahoo? Here's the group addy. I highly recommend it. Alot of members there from the UK and HK both.. This is for Angel and Waywoodkitty as they both like him and anybody else. I must admit he does look quite handsome in this photo. I'm a sucker for men with brown hair and eyes. For those of you that don't know, it's John Barrowman who play's amongst others, Jack in Torchwood and Dr Who. MMmmmm....yummy, I could just eat him up. 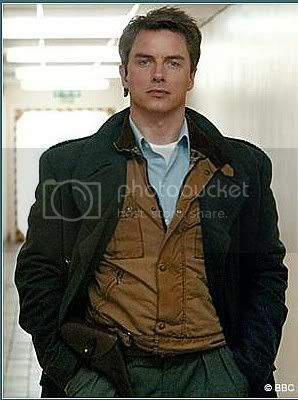 Oh I'm totally hooked now on John Barrowman, here's some more gorgeous pics to go with the gorgeous one above. Total waste that he's gay...WAHHHHHHHHH !! Yeah shame he's only has eyes for men. I didn't notice he had blue eyes.